It seems that the makers of Bhabhiiji Ghar Pe Hain have violated this rule by favouring Narendra Modi and promoting him. 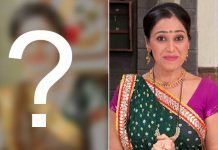 It seems that the makers of Bhabiji Ghar Par Hain! have some matters to deal with. The popular show has been driving the audience crazy through its funny characters and stories. However, the makers recently received a notice by the election commission. As the election dates are nearing, the law states that no one has the authority to advertise or promote any party through any advertising medium. It seems that the makers of Bhabhiiji Ghar Par Hain! have violated this rule by favouring Narendra Modi and promoting him. Karan Wahi To Replace Divyanka Tripathi In ‘The Voice’ For This Reason! 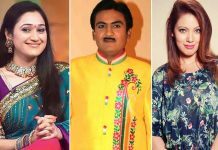 Taarak Mehta Ka Ooltah Chashmah: This Actress To Replace ‘Dayaben’ Disha Vakani! Ranbir Kapoor’s Surprise For His Female Fans Is Aww-dorable!